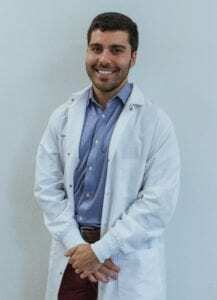 Dr. Alex Jarava grew up in the Chicagoland area. Born in Chicago and raised in Glenview, IL, his undergraduate studies in Biomedical Engineering took him to Marquette University. There, his passion for dentistry grew as he learned more about the relationship between medicine and engineering. Deciding to pursue dentistry, Dr. Jarava received his Doctorate of Dental Medicine (DMD) from Southern Illinois University School of Dental Medicine. He is a proud member of the American Dental Association, the American Academy of General Dentistry, Chicago Dental Society, and the Illinois State Dental Society. In his off time, he likes to cook, work out, and spend time with family and friends. He also enjoys going to concerts and trying all new kinds of food. Growing up in a Hispanic home, early on Dr. Jarava was taught the importance of family. Today, he strives to provide quality dentistry for the whole family and wishes to build a professional relationship with each and every patient. This approach allows him to provide the best possible dental care in an environment where patients can feel welcomed and relaxed.